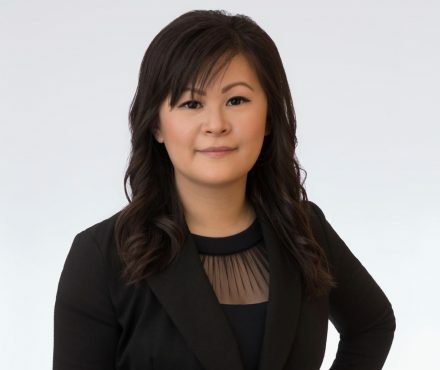 Fanda Wu is an associate with Lindsay Kenney’s general litigation group and practices primarily in family law. Fanda assists clients with issues of custody and access, child support, spousal support, and property and debt division. Her experience includes assisting clients who have overseas assets and complex business interests. Fanda has appeared on behalf of clients in all levels of court in British Columbia. Prior to joining Lindsay Kenney, Fanda practiced family law at a boutique law firm in downtown Vancouver. She has a Bachelor of Arts in Psychology and a Juris Doctor from the University of British Columbia. Fanda is a member of the Federation of Asian Canadian Lawyers, where she acts as a mentor for law students, and is a member of the Trial Lawyers Association BC and the Canadian Bar Association. She is also a contributor to the Family Law Chapter of the Law Students’ Legal Advice (LSLAP) Manual for 2016. Fanda is fluent in Mandarin and has studied at Shanghai’s Fudan University and the University of Hong Kong. Outside of work, Fanda enjoys practicing yoga and playing ultimate frisbee. She is an avid gastronomy and mixology enthusiast.